Don’t Just Get a Website. Create a Custom Web Design that Opens Welcoming Doors for Patients, & Compels Them to Visit Your Facility. 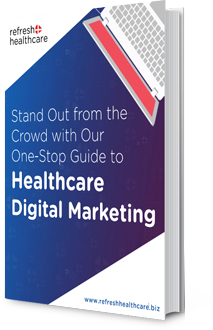 47 percent of the patients are inclined to opting for a healthcare facility if it has good online reviews. 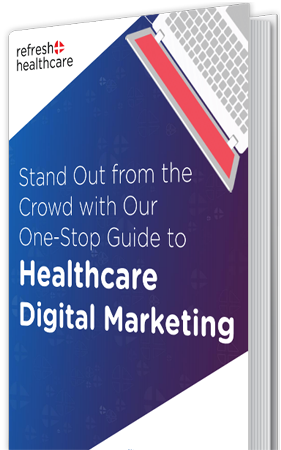 To attract, engage and influence patients to choose your healthcare services over others, you need a website that speaks for and reflects of your true and caring image—with a long-lasting impact, and makes them act by taking the desired action in your favour. Unleash the true power of your facility website by using it as your strongest digital marketing asset. Remember your website is the virtual gateway to your facility, so make sure that it is welcoming, and impressionable. 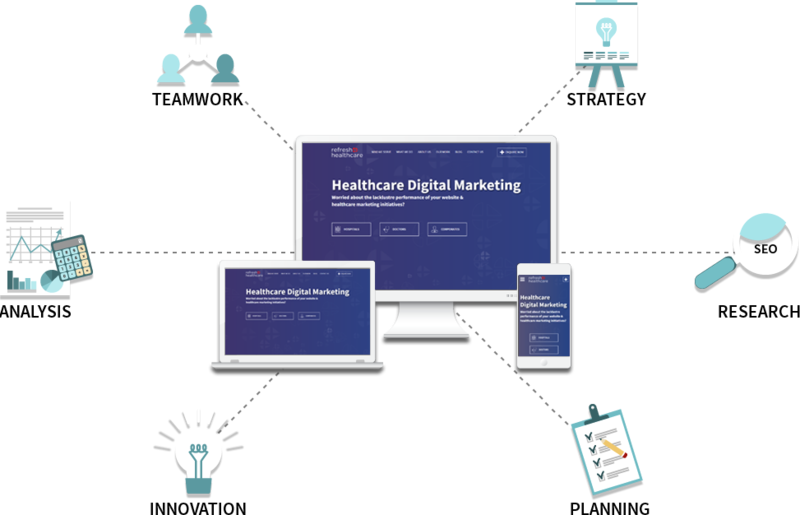 Use the power of custom website design and development to build your brand by creating long-lasting relationships with your patients and delivering them experiences that compel them to refer your healthcare services to other patients. And this is exactly what Refresh Healthcare does. We design and develop user-friendly and high-converting websites for hospitals and healthcare service providers. 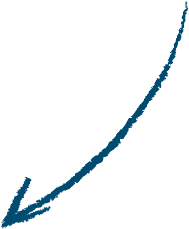 We create website designs that both SEO and user-friendly. From easy navigations, to proven layout based on A/B testing to the colour theme, text layout and flow, at Research Healthcare our web designers combine their experience and expertise to create a website that helps you not just increase search engine visibility but also attract targeted leads and compel them to visit your facility. You don’t have to pay ransom amount of money for referral businesses which by the way can go up to 50 percent in some cases. We create website designs that deliver superior user experiences thereby compelling your current patients to refer your services to other patients. So, you generate your own referrals. It acts as a PATIENT-MAGNET attracting both local and international patients to come to your facility for medical tourism. Helps new patients form positive opinions about your facility. A well-designed website is the first step towards building trust and credibility to help you generate more sales. You can enjoy all these benefits and more when you get your hospital website designed and developed from us because unlike other design company we don’t just create beautiful layouts; we create result-driven and profit-churning designs after doing comprehensive legwork at the backend. Along with A/B and split testing, our design and development team also spends time in understanding patient online journey, behaviour, and business goals. We make sure that the content, UX flow, UI and design are all in-sync so that your website is easy to browse through and delivers excellent user experience much needed for patients to formulate a positive opinion about your facility and schedule an appointment with you. 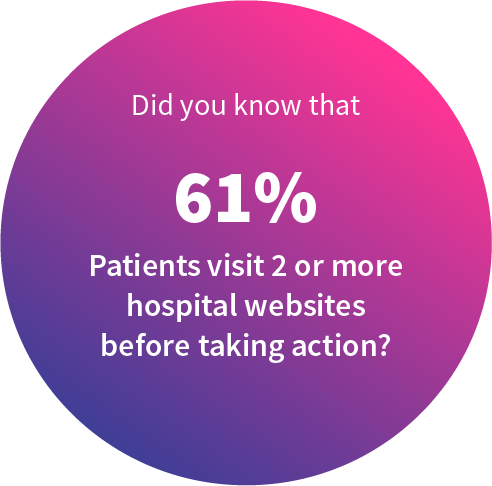 So, click here to Book Free Website Consultation and get a website that makes patients want to take action in your favour! Share your details, we will call you! The discovery sessions with Refresh Healthcare led us to deep introspection about our e-commerce venture and the step by step technique akin to getting to the core of the concept was unique and helpful to us in development of a global standards website.